Are you looking for ways to make the first day of school special for your kiddos? 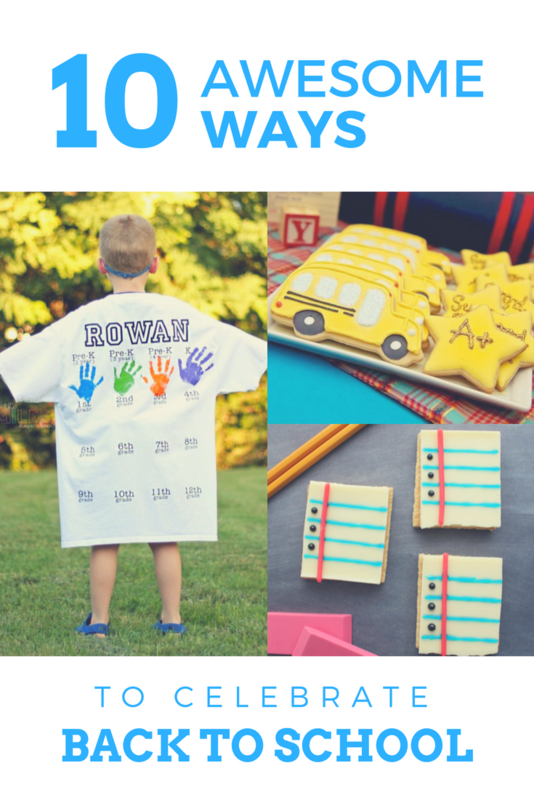 Whether they’re heading off to kindergarten for the first time or the first day of their senior year in high school (*insert sobbing*), coming up with ways to celebrate that first day of school can be fun for both them and you. 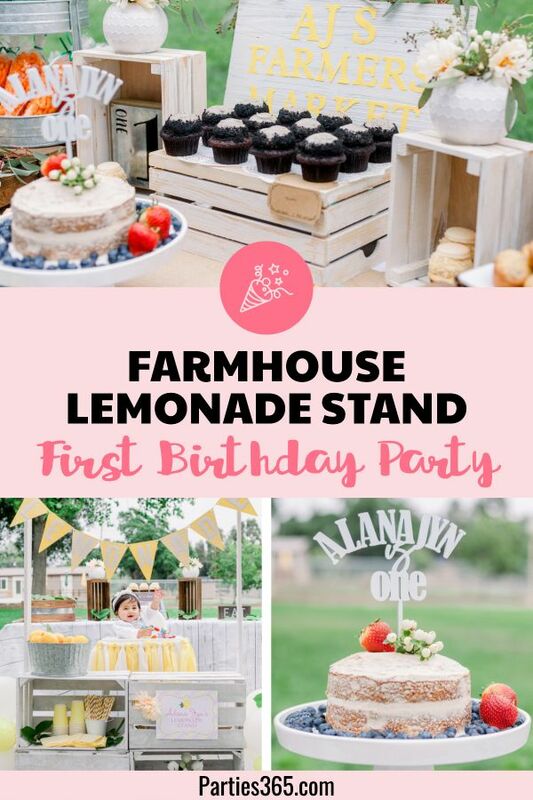 From special breakfast ideas and the first day of school signs to an all-out back to school party, we think you’ll find the perfect idea to celebrate the exciting back to school season. Let’s make their first day back to school special, shall we? It’s always a guessing game to see how your kids will wake up on the first day of school. Some might be so excited you wake up to them creepily staring at you at 5 a.m. in the morning. Some might be a little nervous and you’re trying to give them as much encouragement as possible. For your older kids, it might require a marching band playing to wake them up and get them going. Whatever their excitement level is, a special yummy breakfast is a perfect way to start the day. 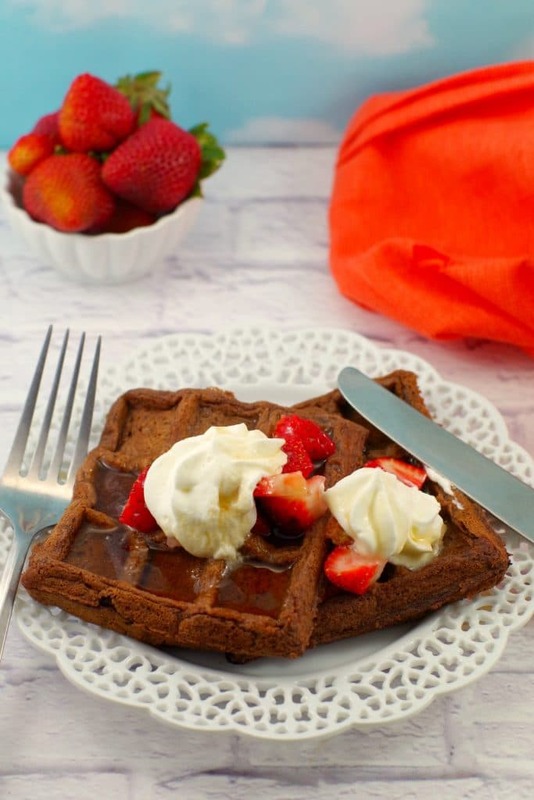 Chocolate + Waffles = the perfect way to start the day, am I right? What’s more fun than funfetti cupcakes? 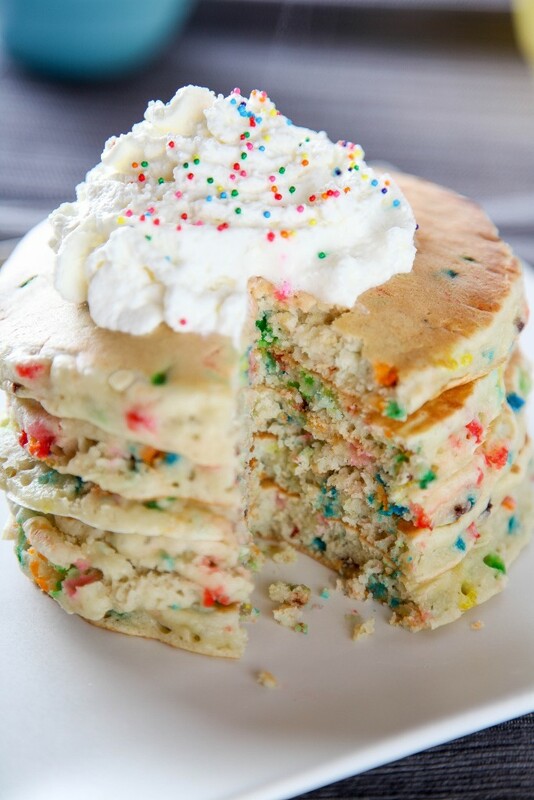 Maybe these funfetti pancakes? Yes, please! 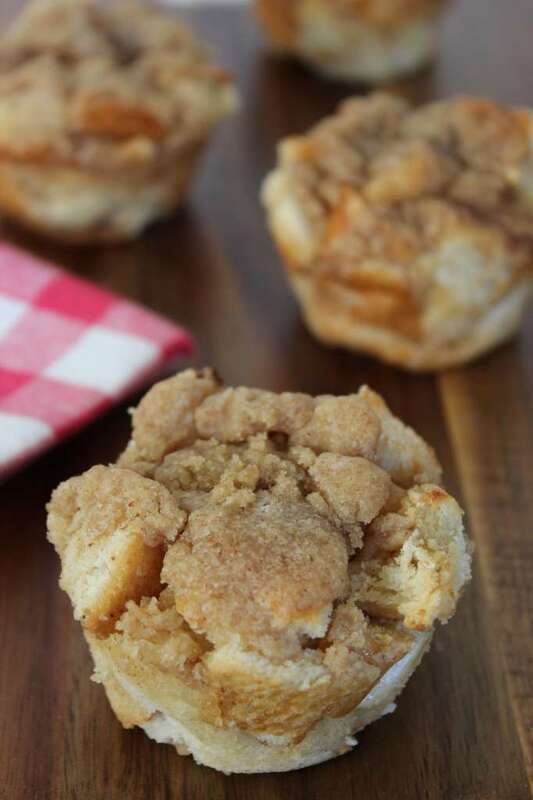 Make these beauties the night before for a tasty quick and low stress special first day of school breakfast idea. Don’t you love the idea of your child opening their lunch on the first day of school and finding a special snack? 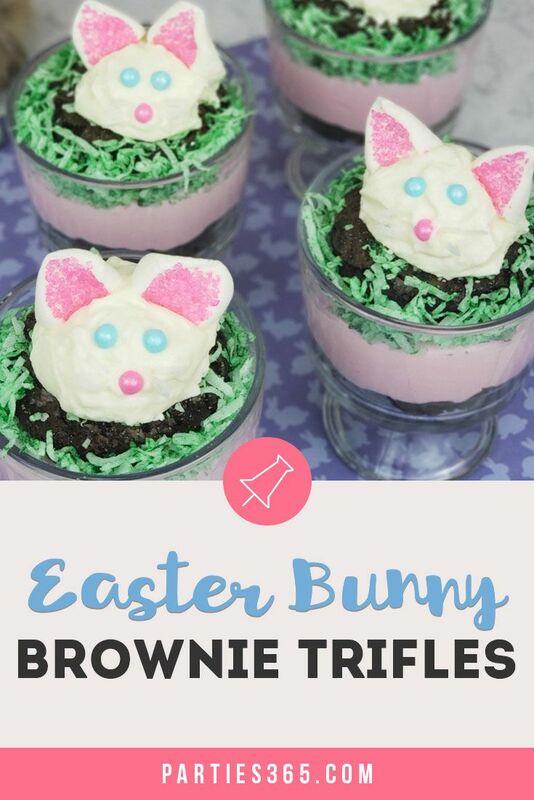 Or maybe you have a snack waiting for them after they get home from school. I still remember the days my mom would take off work and I’d come home to fresh baked chocolate chip cookies. The smell, the taste, the feeling…they’ve all stuck with me for years and years. I love these White Chocolate Notebook S’mores from Finding Zest. 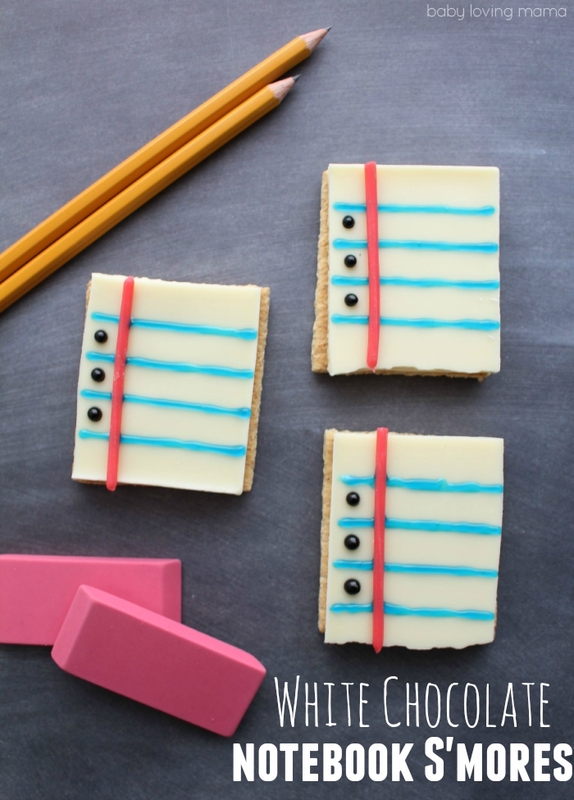 All you need are graham crackers, marshmallow cream, white chocolate, and decorations to turn these into a notebook. 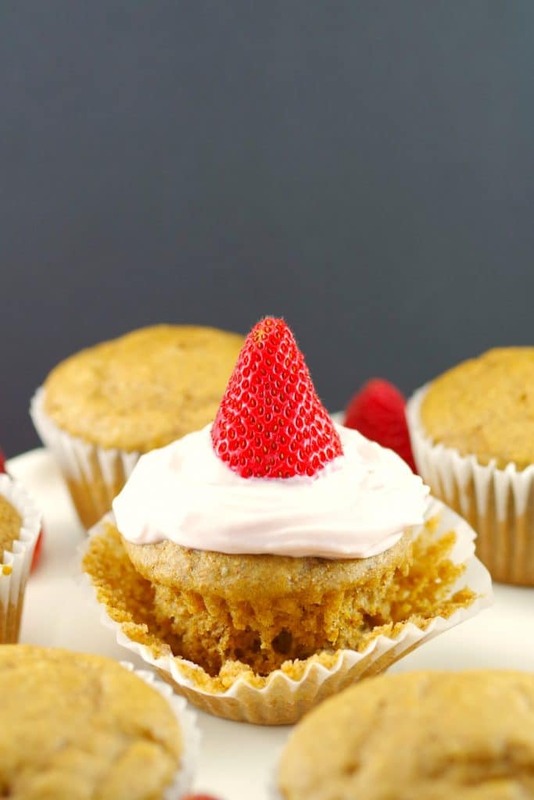 I like how something so simple turned into one really fun back to school celebration snack. I love hopping on Facebook the first day of school and seeing all of my friends’ kids with their first day of school signs. 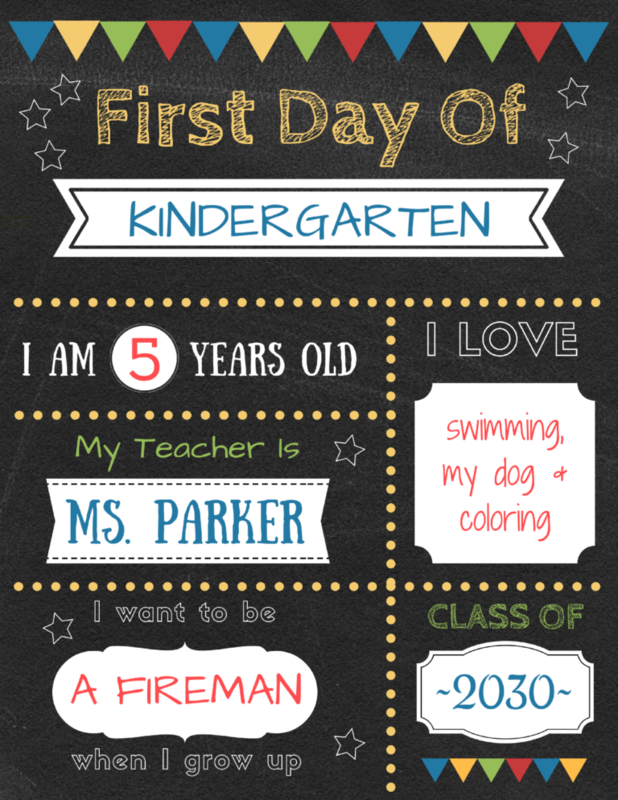 Some are made with a chalkboard, some are purchased and some are super quick, easy and economical like these printable first day of school signs from Planes and Balloons. There are two versions available: the chalkboard looking one above with the black background and one with a white background with is a little friendlier when it comes to using up printer ink. Whichever one you choose, she walks you through the process of editing, printing and even gives some tips on how to choose the best marker to write with. 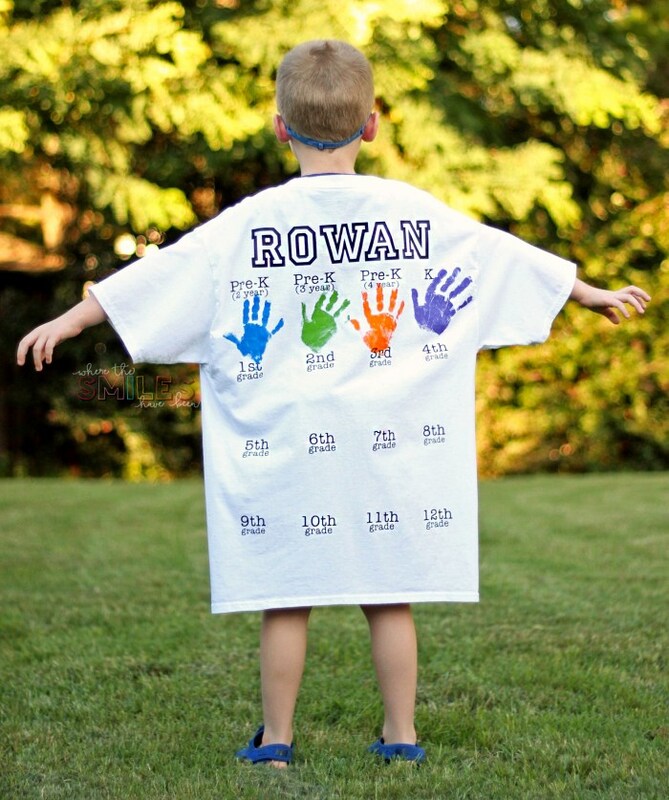 If you have a kiddo going into Pre-K or Kindergarten, then you will love this back to school shirt with handprints from Where the Smiles Have Been. She walks you through the entire process of creating this shirt that will become a keepsake for years to come. The front of his shirt displays the year he will graduate and it’s nice and big so he can grow into it. What a great idea! Are you wanting to go all out for back to school? 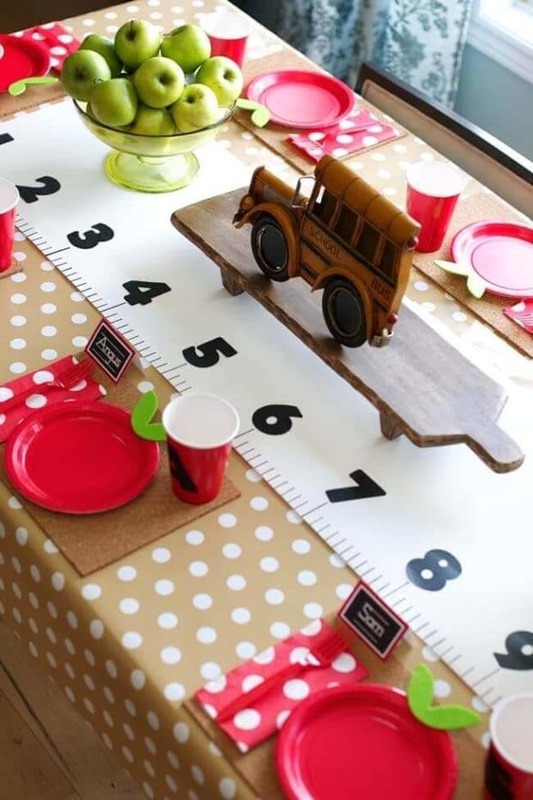 Or maybe you’re the room mom and have been tasked with throwing a back to school party for your child’s class. 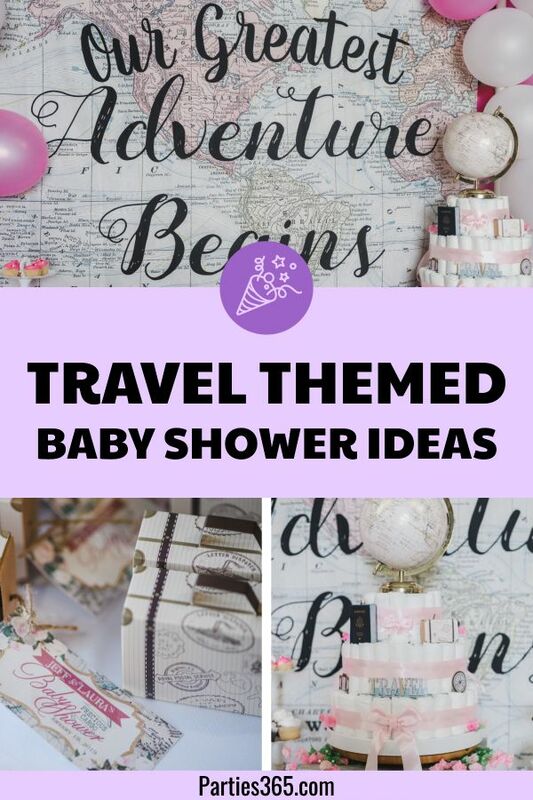 Whether you’re wanting to go budget or kick it up a notch, Spaceships and Laser Beams has some fantastic ideas. 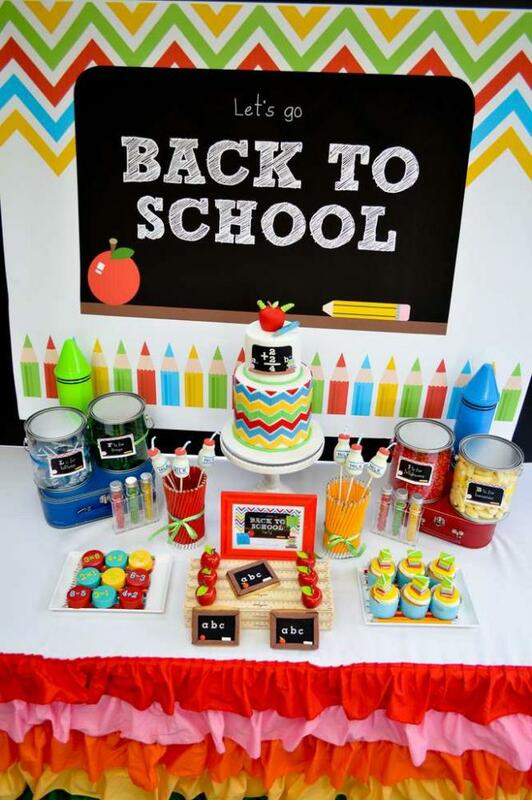 A Budget Back to School Party Idea – This party featured a $50 budget and a trip to the Dollar Store. 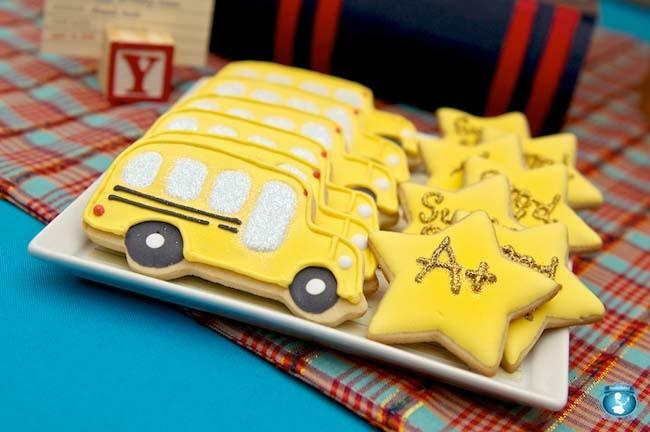 How about a back to school dessert table with cupcakes galore, pudding cups and school bus cookies?! 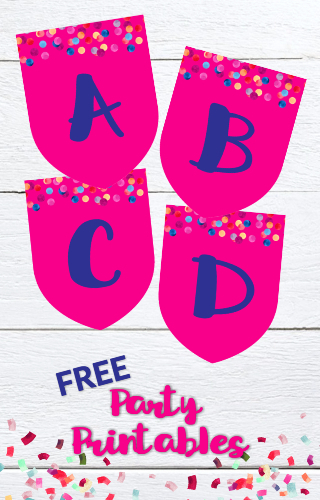 How does a back to school party featuring school supplies sound? Not only does it sound incredibly fun for the kids, but just look at the beautiful color explosion. Last, but not least, be sure to check out Seaside Sundays’ 12 Back to School Traditions. She shares some wonderful ideas such as taking a photo as they walk into the building, reading a back to school bedtime story and more. 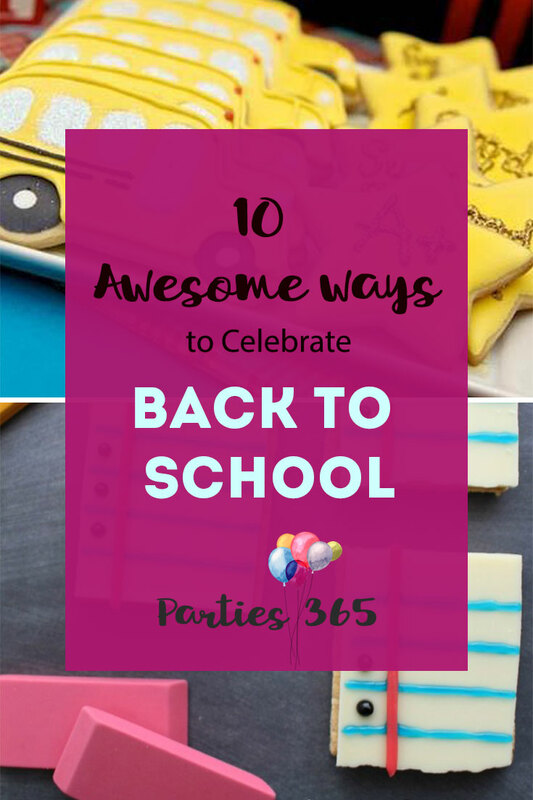 I hope these celebration ideas for the first day of school will help make this day super special for your kids!